Aluminum running boards with non-slip plastic overlay ensure a sporty and individual look for your vehicle. The running boards are just as beautiful as they are practical and ensure a safe entry through the non-slip plastic pad with nubs. 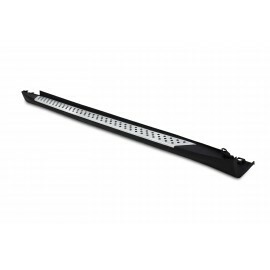 The running board can be easily mounted on the intended body points. The entry is easier as well as the fixing of roof loads.